FCW Daily for Monday, July 31, 2017 – Compliments of 1105 Government Information Group. The White House (Video): President Donald J. Trump’s Weekly Address. My fellow Americans, This past week, we have celebrated, saluted, and honored American heroes who have devoted their lives to God, Family, and Country. Aboard USS Gerald R. Ford, we saluted those who will defend our flag on the newest and most advanced aircraft carrier in the history of our world. (New York Times) Putin, Responding to Sanctions, Orders U.S. to Cut Diplomatic Staff by 755. President Vladimir V. Putin announced on Sunday that the American diplomatic mission in Russia would have to cut its staff by 755 employees, a response to the new American sanctions that escalated the tensions between Washington and Moscow. Military Times Trump’s transgender ban will likely land in court. President Trump’s apparent intent to reverse the 10-month-old Pentagon policy that allows transgender troops to serve openly is likely to set the stage for a legal battle between the Defense Department and those troops at risk of involuntary separation, legal experts say. Military Times Dunford: DoD will implement Trump policy on transgender forces. All transgender U.S. servicemembers will continue to be treated with respect, but DOD will eventually implement President Donald Trump’s policy which may ban their service, Chairman of the Joint Chiefs Gen. Joseph F. Dunford said Thursday. Military Times Poll: Active-duty troops worry about military's transgender policies. President Donald Trump’s announcement of looming changes in the military’s transgender policies could be less controversial within the ranks than among civilians, given troops’ conflicted views on the issue. Hot Air: The Government Needs To End Its Military ‘Freebies” Recruitment Tactics. There’s been plenty of reaction across the political spectrum on President Donald Trump’s tweets about banning transgender troops. Vox put together a roundup of people and politicians who were angry about the decision, while The Daily Wire wrote only 12% of active duty military supported transgender troops and also claimed gender transitioning was self-mutilation. Reuters Suicide ‘Clusters’ May Appear In Army Units. One suicide attempt in an army unit may foreshadow attempts by other soldiers in the same unit, suggests a new study from the U.S. military. Army Times Acting secretary: Army needs to send funding message, fix asset ‘mismatch’. One of the great challenges facing Army leaders is conveying the precarious situation the Army faces after years of budget sequestration, repeated continuing resolutions and 16 years of sustained combat deployments, the service’s acting secretary said this week. Military Times Retired Marine colonel one of 3 astronauts en route to space station. A retired Marine officer was one of three astronauts aboard a Soyuz space capsule that successfully blasted off for the International Space Station on Friday. Marine Corps Times New boot flying off shelves at Marine Corps Exchanges. A new boot authorized for purchase at Marine Corps Exchange stores has proven to be so popular that it has sold out. USNI News Repair for USS Fitzgerald After Collision Will Cost More Than Fix to USS Cole After Terror Attack. The cost to repair stricken destroyer USS Fitzgerald (DDG-62) will easily be more than the $250 million the U.S. Navy paid to repair USS Cole (DDG-67) after it suffered a 2000 terrorist attack in Yemen, USNI News has learned. Defense News Experts question the US Navy’s ideas for a new frigate. A panel of analysts raised questions Tuesday about the U.S. Navy’s recent request for information from industry on a new frigate that it wants to begin buying in fiscal year 2020. Air Force Times Lawsuit alleges Air Force is withholding info on flag-folding incident. An organization representing a retired airman who was forcibly removed from a retirement ceremony last April is suing the Air Force, seeking more information on the incident. ABC News (AP): Pentagon, border wall covered in $788B House spending bill. The House has passed a $788 billion spending bill that combines a $1.6 billion down payment for President Donald Trump's controversial border wall with Mexico with a whopping budget increase for the Pentagon. The 235-192 vote both eases a large backlog of unfinished spending bills and gives Trump and his House GOP allies political wins heading into the August recess. The Times-Picayune: Veterans Affairs Secretary Shulkin assures transgender Vets of continued care during New Orleans visit. Veterans Affairs Secretary David J. Shulkin assured transgender veterans Saturday (July 29) that the agency's services are unaffected by President Trump's recent pledge to bar transgender people from serving in the military. "We've certainly been hearing from a lot of veterans who have concerns about what that means," Shulkin said, referring to Trump's statements. ABC News (AP): House moves to extend choice program, end VA budget crisis. The House overwhelmingly approved a $3.9 billion emergency spending package to address a budget shortfall at the Department of Veterans Affairs that threatens medical care for thousands of veterans. The bill provides $2.1 billion to continue funding the Veterans Choice program, which allows veterans to receive private medical care at government expense. Military.com: House Votes Unanimously to Extend VA Choice Program for 6 months. After failing in the first try earlier this week, the House unanimously passed a $3.9 billion bill Friday to extend the Veterans Choice Program on private care for six months. The 419-0 vote on the emergency spending measure came after the Senate worked out a deal with House negotiators to add an amendment to the bill on the leasing of 28 new VA facilities in 17 states to overcome the objections of the veterans service organizations (VSOs). Stars and Stripes: House approves new deal to prevent VA budget crisis for Choice program. House lawmakers voted unanimously Friday on a deal to fund the nearly depleted Veterans Choice Program and avert the threat of interrupted medical care for thousands of veterans. The bill, a bipartisan compromise negotiated between House and Senate lawmakers, would inject $2.1 billion into the Choice program to keep it going for the next six months. WFED (AM-1500): Last-minute Veterans Choice funding bull filled with key VA hiring flexibilities. An additional $2 billion for the Veterans Choice Program isn’t the only provision lawmakers rushed to pass before leaving Friday for the August recess. Under the House Veterans Affairs Committee leadership, lawmakers managed to find a solution that replenishes the Veterans Choice Fund with an additional $2.1 billion dollars and invests in key VA functions. The Washington Times (AP): Medical staff shortage bill addresses Veterans’ needs. The U.S. House has passed a bill co-authored by New Hampshire Congresswoman Annie Kuster to address a medical staff shortage for veterans. The bill would establish a pilot program that awards educational assistance to veterans with medical military training who will be placed as physician assistants in Veterans Affairs Medical Centers. FedSmith: Bill Would Prevent VA From Rehiring Previously Fired Employees. Congress has passed another bill (S. 114) with reforms to the Department of Veterans Affairs that is now on its way to the White House. The bill is primarily being hailed for authorizing more funds for the Veterans Choice Program. While it certainly does that, it contains a number of other human resources functions. The Washington Times (AP): AP Fact Check: Trump off base on vets, health payments. President Donald Trump bragged about a mission accomplished in veterans’ health care that has not been achieved. He threatened to end health insurers’ “bailouts” that actually help consumers. And he cited “tremendous” costs to taxpayers from providing health services to transgender troops without providing evidence of that expense. Boston Herald: Report finds Veterans hit hard by opioid crisis. The opioid crisis has hit veterans particularly hard, as prescriptions have skyrocketed since the Iraq and Afghanistan wars began and Department of Veterans Affairs staffers have often been busted for diverting the drugs to take themselves or sell. The Herald-Sun: Cancer survivor? Dukes’ new PTSF app helps patients and families overcome trauma of diagnosis and treatment. Cancer diagnoses can herald looming life-and-death battles, often won, but some survivors are left traumatized by the fight. Cancer patients commonly walk away from life-saving chemotherapy and radiation treatments having developed post-traumatic stress disorder. Duke University has created the Cancer Distress Coach app to help. The Hill: GI Bill 2017: Investing in the future of the Republic. Following its healthcare “Vote-A-Rama,” the U.S. Senate will soon act on the Harry W. Colmery Veterans Educational Assistance Act of 2017, named after the American Legion officer and World War I veteran who was an architect of the World War II GI Bill. WLS (ABC-7, Video): What the VA wants you to know about Veterans’ programs. It's a company that says it's assisted thousands of desperate veterans by helping them to get benefits and home care services. But one local family says the company isn't fully delivering on its promises. A homebound couple reached out to the I-Team after using a service to facilitate their home care. Military Times: Report: Young Vets are more successful than their civilian peers. Young veterans are better educated, better paid and better off than many of their civilian peers, which researchers believe could be due to their military service. The analysis, released by The City University of New York earlier this month, cuts against public perception of veterans struggling to adjust to post-military life. 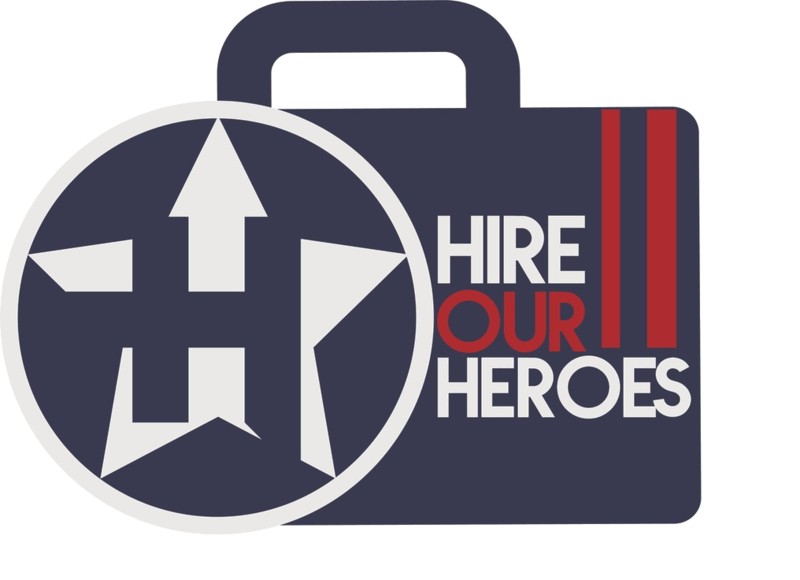 Military Times Companies that focus on hiring vets outperform market. A new investment fund will allow people to invest in companies with strong records in recruiting and supporting veterans, active duty service members, Guardsmen and reservists, and military families. WSMH (FOX-66, Video): Female Veterans honored at Great Lakes National Cemetery. A special service was held Saturday honoring our female veterans. The lives of four female vets who paid the ultimate sacrifice were celebrated in a rare special event at the Great Lakes National Cemetery in Holly Township. They also celebrated the over two million women who have served in the military since the American Revolution. American Legion Post 328, Southfield, Michigan Listing of Current Events in and around the Metro Detroit Area for and about Veterans, for the period July 27 - August 18, 2017. Federal Business Council, Inc. (FBC) List of remaining Industry Outreach Events for CY 2017. 2017 College Acceleration Summit - A virtual summit. August 8, 2017. No cost. Take the first step to accelerate your professional growth by registering for the 2017 College Acceleration Summit, a free virtual conference on August 8. This conference will help adults access the knowledge and skills they need for success in the working world. It will feature over 20 world-class education experts, including Military Warriors Support Foundation CEO Leroy Sisco, National Organization of Black Law Enforcement Executives President Perry Tarrant, healthcare education leaders and many more, who will lead sessions that share insights, strategies, and tactics to give you a clear plan to advance your careers. For attending, you will be eligible to win one of three $500 scholarships. The event is completely free to the general public. Register now at www.collegeaccelerationsummit.com Please pass it along.